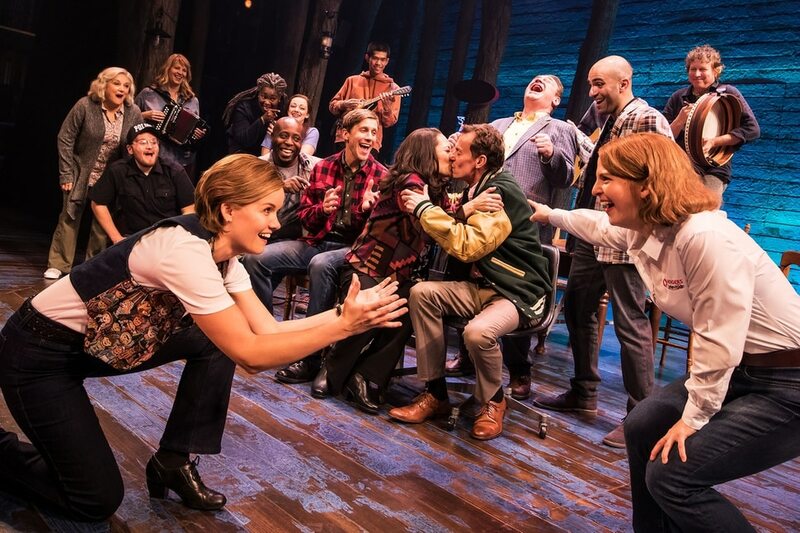 (Matthew Murphy | photo courtesy Broadway at the Eccles) The ensemble of the national tour of the Broadway musical Come From Away, which will play at Salt Lake City Eccles Theater, Nov. 6-11, 2018. 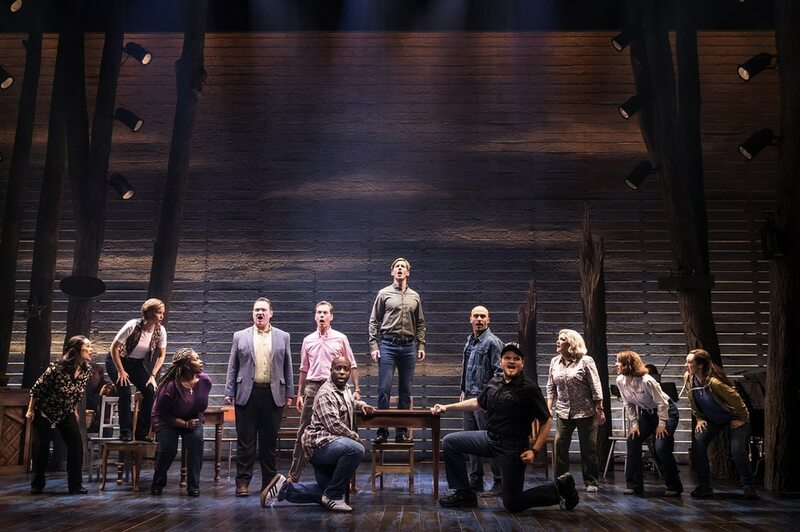 (Matthew Murphy | photo courtesy Broadway at the Eccles) The ensemble of the national tour of the Broadway musical Come From Away, which will play at Salt Lake City Eccles Theater, Nov. 6-11, 2018. (Matthew Murphy | photo courtesy Broadway at the Eccles) The ensemble of the national tour of the Broadway musical Come From Away, which will play at Salt Lake City Eccles Theater, Nov. 6-11, 2018. (Matthew Murphy | photo courtesy Broadway at the Eccles) Becky Gulsvig, foreground, plays Beverley, an airline pilot, in the national tour of the Broadway musical Come From Away, which will play at Salt Lake City Eccles Theater, Nov. 6-11, 2018. Also in the ensemble, from left: Megan McGinnis, Emily Walton, Christine Toy Johnson, Julie Johnson and Daniele K. Thomas. (Matthew Murphy | photo courtesy Broadway at the Eccles) Nick Duckart, Kevin Carolan and Andrew Samonsky, from left, are featured in the ensemble of the national tour of the Broadway musical Come From Away, which will play at Salt Lake City Eccles Theater, Nov. 6-11, 2018. Commercial flights had crashed into the north and south towers of the World Trade Center. Other planes appeared hijacked. For the first time in history, the Federal Aviation Administration closed U.S. airspace, and thousands of planes were suddenly looking for a nearby place to land. The isolated town of Gander, Newfoundland, on Canada’s east coast, had an enormous airstrip that was no longer being used, a relic of a time when transatlantic flights needed a place to refuel. The show’s national tour lands for a six-day, eight-show run, starting Tuesday at the Eccles Theater, 131 S. Main St., Salt Lake City. The play — which lost out to “Dear Evan Hansen” for best musical at the 2017 Tony Awards — tells the true story of what happened in Gander on the day terror attacks killed nearly 3,000 in New York, at the Pentagon and in Shanksville, Pa., where hijackers crashed a fourth flight. Locals sprang into action to provide lodging, food and basic amenities for some 7,000 tired and fearful airline passengers, the folks who, in Newfoundland slang, “come from away.” Writers Irene Sankoff and David Hein show how strangers learned to trust each other, have a little fun and form friendships that have lasted to this day. “The whole message of the show is so positive and uplifting,” said Julie Johnson, a Texas-born actor who — like most of the cast – plays several roles during the course of the musical. Director Christopher Ashley’s spartan staging relies on a few chairs, lighting and quick-change costumes to instantly shift the action from an airline cabin to a Newfoundland bar. Beulah, Johnson’s main role in the production, is a composite of three women who took the lead in organizing the folks of Gander and their donations of time, labor and supplies. Johnson was struck by details that were crucial for the visitors. Fear of a terrorist bomb meant the passengers’ luggage remained in the cargo holds, so they were left without a change of clothes or other basic amenities. (courtesy photo) Julie Johnson, one of the cast members in the national tour of the Broadway musical "Come From Away." One Newfoundland welcome ritual depicted in the musical — known as “kissing the cod” — is something Lessard has experienced for himself. Lessard will be visiting Utah to attend a global economics forum, to meet Gov. Gary Herbert and to tour Logan, Ogden and Provo. But, he said, “Come From Away” will be a highlight of the trip — showing a time when the U.S. and Canada were on friendlier terms. Recently, there have been tensions between the North American allies, which many attribute to the pugnacious comments of American President Donald Trump and the unwillingness of Canadian Prime Minister Justin Trudeau to let such remarks slide. While relations between countries like Canada and the United States “haven’t always been the smoothest,” every relationship has its ups and downs, Lessard said. Johnson agreed, adding, “Hopefully, this too shall pass. 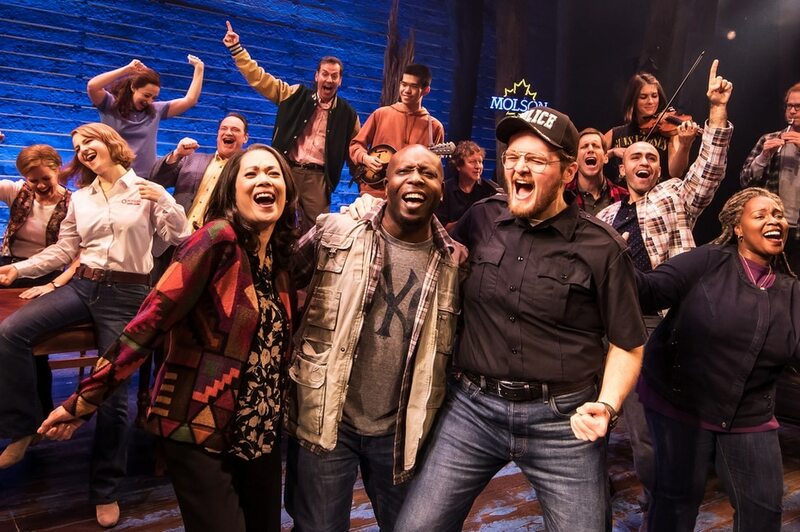 The national tour of the Tony-winning musical “Come From Away,” telling the true story of Newfoundlanders helping airline passengers grounded unexpectedly after the 9/11 attacks.